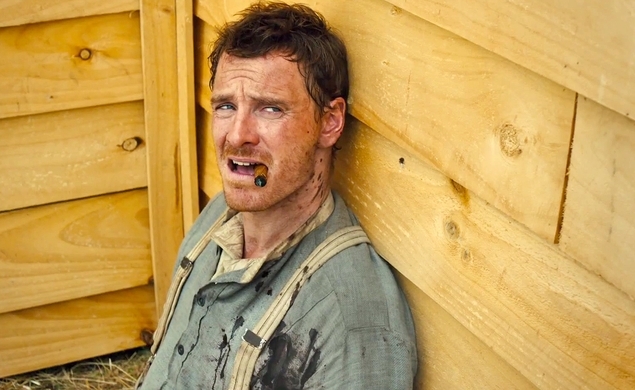 In terms of new releases, the clear highlight of this week’s offerings has to be Slow West, a darkly comic ramble through the prairie with Michael Fassbender, who proves beyond a shadow of a doubt that no genre is beyond his mastery. His stoicism and quiet strength feel perfectly at home in the Western milieu, and Kodi Smit-McPhee delivers a capable performance as the audience’s surrogate, learning the ropes of this dangerous terrain. The compelling war drama ’71 and the divisive Arnold Schwarzenegger vehicle Maggie also hit shelves this week. Criterion’s double whammy of The Killers adaptations dwarfs the other vintage rereleases for the week. Hemingway’s short story inspired Robert Siodmak in 1946, and then Don Siegel drew upon the same material for his adaptation in 1964. Though they begin with a similar starting point, the films could not be more different. Siodmak went for the classic slow-burning noir feel, while Siegel doubled down on the violence, creating a hectic picture for a hectic time. Arrow’s new print of Contamination on Blu-ray is also sure to please, if for no other reason than the fact that it contains more classic soundtrack work from Italian prog-rockers Goblin. Goblin rules.